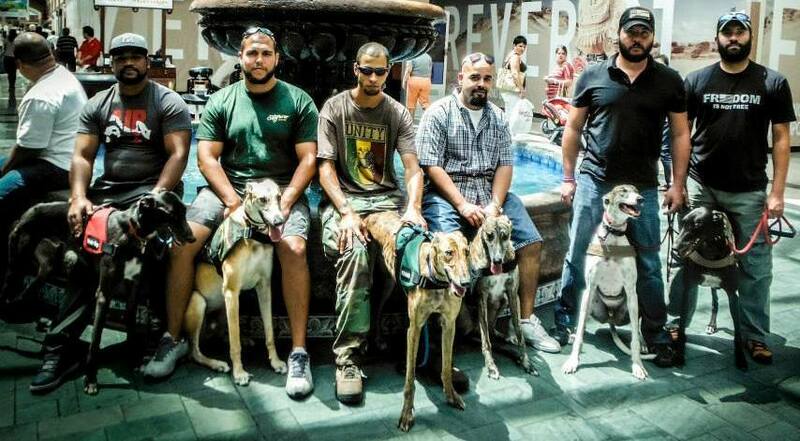 West Palm Beach, Florida – HERO, a retired racing Greyhound, has become the first Service Dog to be trained as a companion to a retired service person in need of an assistance dog. 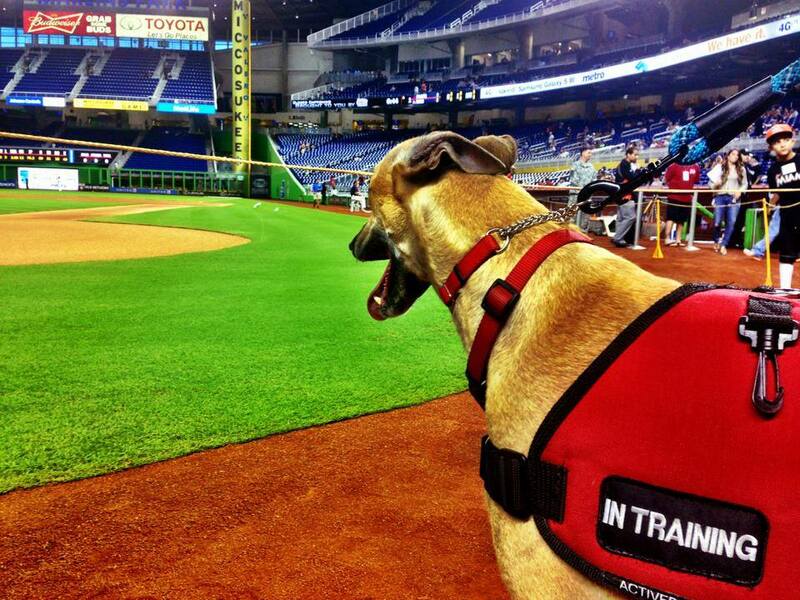 Racing as Fleeter Neal, HERO retired recently to Greyhound Pets of America FL SE Coast Chapter. He raced at Palm Beach Kennel Club from the Douglas Kennel. Club joined in donating the dog to them for this program. Daniel De La Rosa is the only Karen Pryor Academy Certified trainer in South Florida. 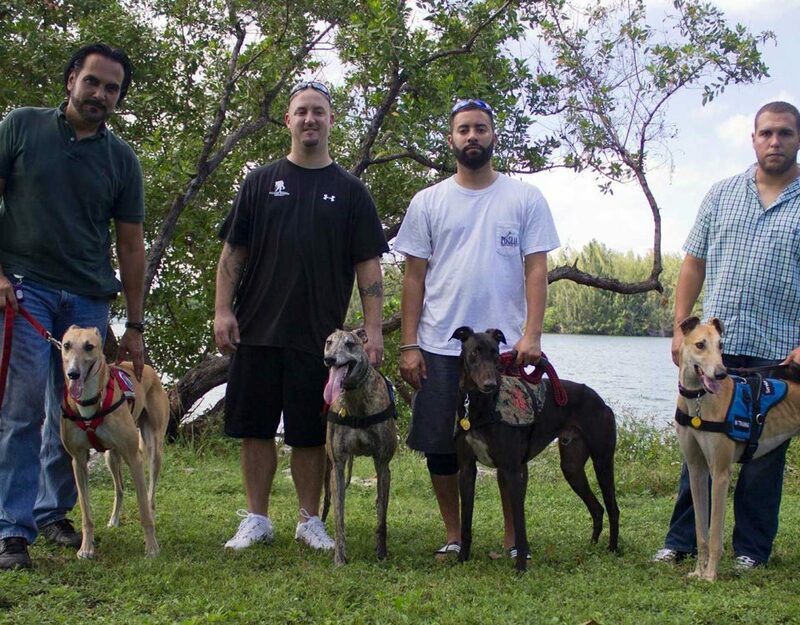 He is a member of the Association of Pet Dog Trainers and Canine Good Citizen Evaluator and owner of Petropolis Park, a doggy day care and boarding facility in Hollywood, FL. He and HERO recently returned from a New York City working vacation, visiting many of the landmarks and attending a Broadway Show. (See HERO’s photo album on Facebook). De La Rosa is Vice President of the organization, and HERO’s trainer. donate on the web site (servicedogs4servicemen.com) or mail to ServiceDogs4ServiceMen at 7910 Kimberly Blvd., N. Lauderdale, FL 33068. 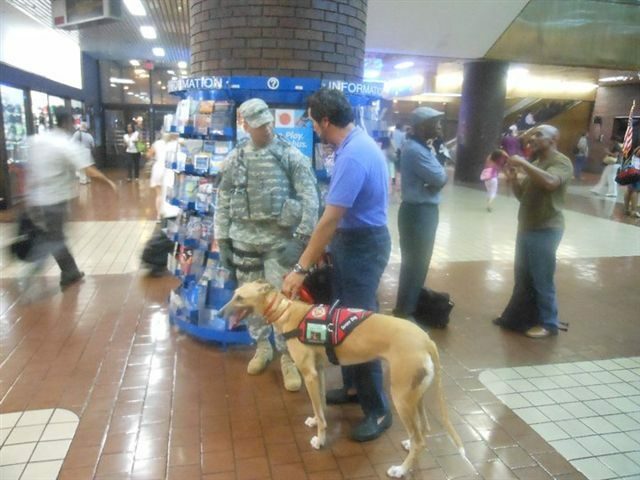 We are targeting a Friday, November 11, Veterans Day presentation of HERO to his new owner. Plans are to do this at the Palm Beach Kennel Club at their celebration of the dedication of America’s servicemen and women. 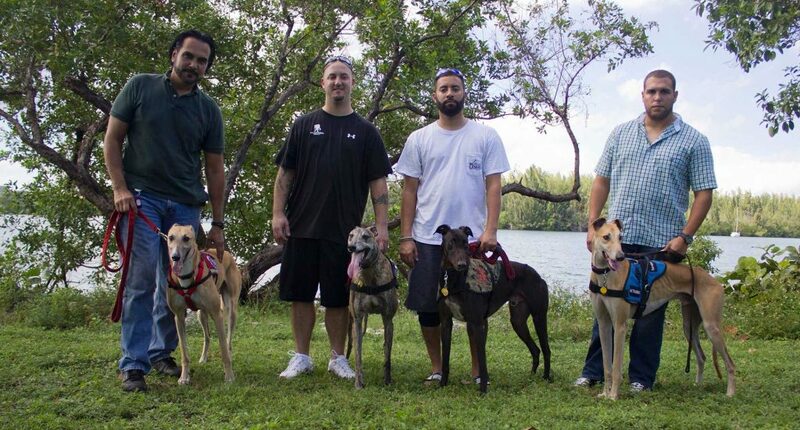 Shortly after that, Daniel and Sara will be visiting the GPA kennels to select another Greyhound for the program.